It’s the end of the week and we have just two weeks left until Christmas. With all of the parties and presents, this season can sap all of the energy out of you! So when it comes to getting the rest of the gifts on your list, a click or a swipe to take over the transactions sounds pretty good. 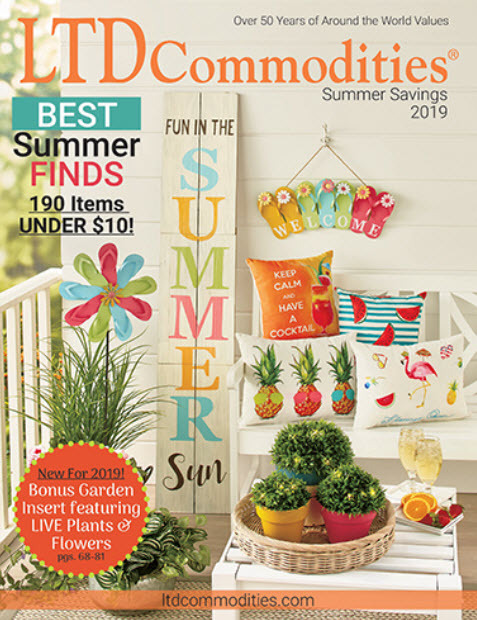 With relaxing shopping in mind, we picked out a few items you’ll like to round out your holiday shopping. Here are LTD’s Items We Adore: Product Picks for the Week. Baby, Baby Your little girl will feel like she’s caring for a real baby with a La Newborn Real Life 14″ Doll Set or Outfits. 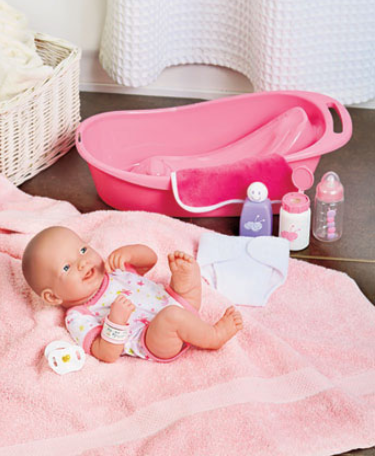 The adorable, all-vinyl doll in the Doll Set looks and feels just like a real newborn. She even arrives wearing a hospital bracelet! The doll comes with a sturdy bathtub that’s made with high quality materials that will stand the test of time and play. The set also comes with bath accessories. Plastic and polyester. After the bath, her little Mommy can dress her in one of the adorable Doll Outfits. Polyester. For ages 2 and up. The Inner Child Men’s Licensed Jean Lounge Pants are designed for the man with a strong sense of humor. They’re printed to look like a pair of worn-out, faded jeans with boxers in a licensed print sticking out at the waist. Made of a comfortable, soft knit fabric, they have an elastic waistband for a secure fit. Cotton. Machine care. Imported. Classy Camouflage Conceal a bottle of wine in this lightweight Luxury Insulated Wine Clutch. Fully lined with thermal insulation, it looks like a fashionable handbag and works to keep 750 ml. bottles cold. It can also be used to carry snacks, lunch, water bottles and more. 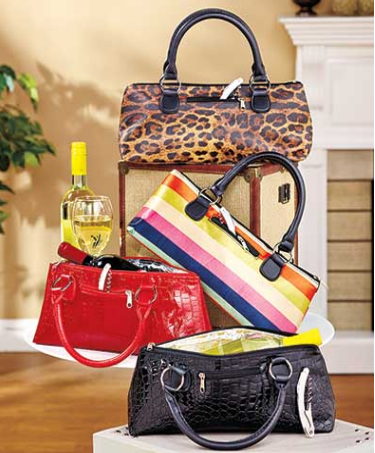 Comes with a stainless steel corkscrew tucked in the outside zippered pocket. 13″W x 4″D x 6″H, with a 5″ handle drop. Polyurethane and aluminum. Imported. 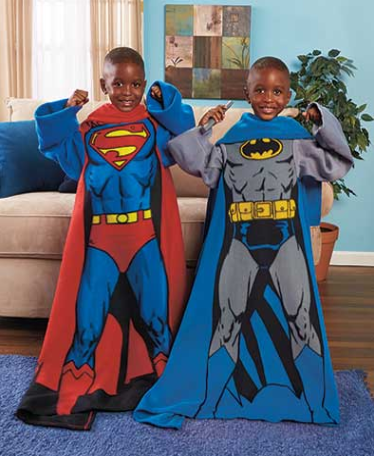 Superhero Style Be one with your favorite character when you wrap up in this fun boys’ licensed throw. Slip your arms into this comfy throw’s sleeves, and it puts your face on the character’s body. Its cool, hands free design and fleece construction are perfect for lounging or playing video games. 48″ sq. Polyester. Machine care. Imported. 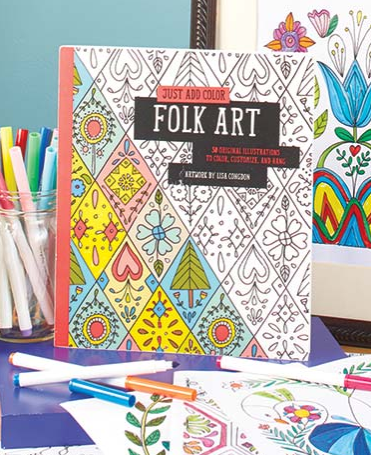 Inspiration Station Just add color to the 30 original designs in this adult coloring book to create your own masterpiece. Each beautiful page can be put on display once you’ve fulfilled your artistic vision. Perforated edge makes the page easy to remove. 8-1/2″W x 10″L. Softcover, 64 pages.